Self-proclaimed leader of the Sweater Vest Army, Chad Zumock has been on the stand-up comedy scene in LA since 2004. Chad captivates audiences with his high energy humor, brutal honesty about his life, and quick slacker wit. His likability is what connects him with all kinds of people and makes him a strong draw for all over the country, and also a strong social media presence.He captivates audiences with his high energy humor, brutal honesty, and quick wit. He has appeared on Comedy Central, Spike TV, Showtime, E!, AXS TV, Gotham Comedy Live, HBO Lab, The Artie & Anthony Show and had a writing spot on the 2006 Comedy Central Roast of William Shatner. In 2015 he released his Top 20 iTunes ranked comedy album, Reckless Operation, which also can be heard on Sirius XM Raw Dog, Slacker, and Pandora Radio. Although Chad has accomplished a lot in stand-up comedy, he still doesn’t not consider himself a comedian. 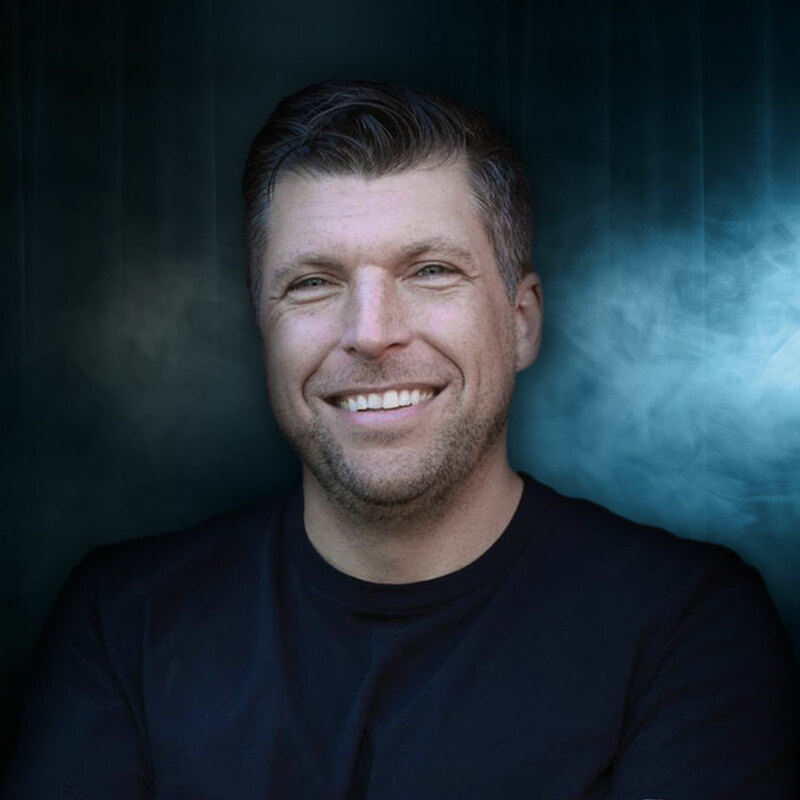 He claims to be a basketball player that tells jokes.Chad can sometimes be heard guest hosting the nationally syndicated legendary radio program The Bob & Tom Showand is a regular guest on Sirius/XM’s BENNINGTON on Raw Dog Comedy Hits 99. Fiance' and I happened to be walking passed yesterday and decided catching a show might be a good way to spend our evening. We were not disappointed! The comedians were hilarious, the staff was courteous, venue was clean. Our only complaint was that it took a while to get beverages and we had to pay $4 for me to have WATER. Will definitely be back the next time we make it to the area. The food is very good, but expect to pay twice the price of anywhere else. The comics are a bit hit and miss. About 20% are bad. About 60% are just Ok, but you will laugh and leave happy. About 20% are really good. Most likely you will leave happy and want to come back again soon. My first time was to see Asinio Hall and I have been back eight times. This place is amazing! Ever time I have been there whether a date, small group or large group thru have been accommodating and professional. I've also never seen a bad comic. They are all hilarious. The bartenders are awesome too. Always good pours, and good conversation and classy attitude and demeanor. Reggie always takes care of us. I would highly recommend this place to anyone who wants to have a great time and laugh! I’M glad that my wife and I came to The House of Comedy! The staff is great!JUST when I didn’t think it could get any better they brought our drink and food in a timely manner!DOING this well as an establishment will guarantee my future patronage!THIS place is awesome!! !FOR a reasonable price you get some great food!FREE chances at winning tickets is awesome too!! !TICKETS were very reasonable considering the amount of entertainment you get for the price! Had a great experience. The comedian was great. Wasn't thrilled by the additional $8 in fees and the mandatory purchase during the show. But the show was great. Bathroom and entertainment areas were very clean. Came on Friday evening, had a great time!!! Comedians were about 80% what I would hope for. But for the price I will definitely continue going and recommend. Our 3rd time going to the comedy club. We love it! We drive an hour and a half to come see the shows and they never disappoint. Had the cheesecake tonight as a treat and it was delicious! We will continue coming for our nights out! Great date night facility. Their food is awesome and so is the staff. I highly recommend this place.